Hyundai Santa Fe: Why Buy? 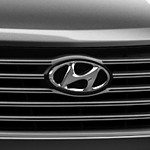 One of the most popular crossover SUV's on the market today is the Hyundai Santa Fe. Crossovers have been growing in popularity because they can afford car owners the best of both worlds from large SUV's to smaller coupes. That is why we here at Hyundai of Kirkland are so excited about the new 2018 model! ?The Santa Fe recently received a five star safety rating meaning that you and your family will always be able to drive with peace of mind. This crossover also seats up to seven passengers comfortably which means family and friends are always welcome to come along for the ride. If you would like to test drive one of these incredible crossovers to see these features and so many more, then be sure to stop on by to speak with one of our friendly and knowledgeable sales associates at Hyundai of Kirkland located right here in Kirkland, WA today!